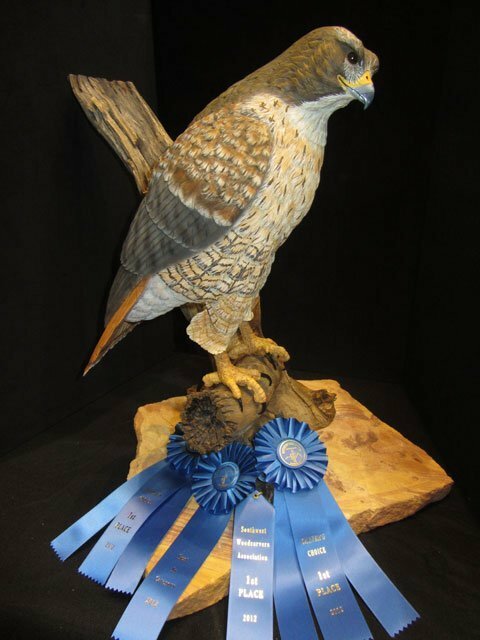 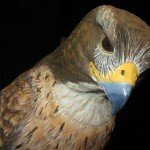 In the recent prestigious Southern Southwest Woodcarvers Association People’s Choice show Rob Arnberger’s Red-tailed Hawk, “Regal Red-Tail”, took the most honors for a single carving in the entire show. 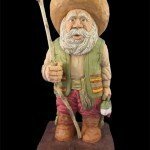 The realistic life size carving mounted on a mesquite branch with a red Arizona flagstone base took First Place in Realistic Carving in the Round. 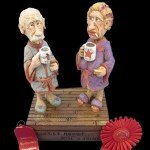 Then the carving was voted First Place in the People’s Choice award granted by the hundreds of viewers attending the show at Tucson’s Foothills Mall. 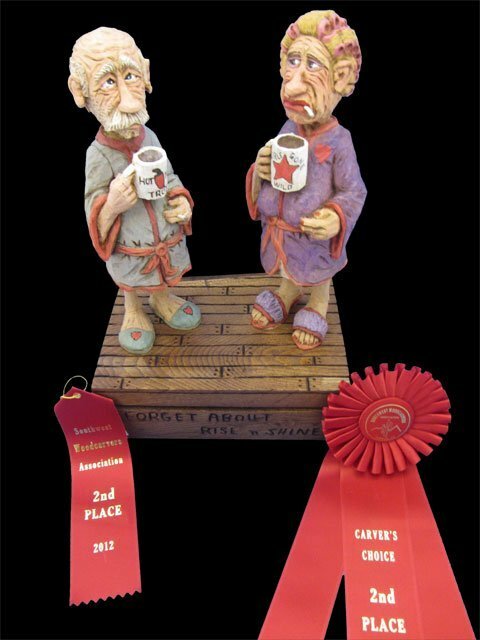 The carving also won First Place in the Carver’s Choice category…a voting reserved for carving club members who are all expert carvers in their own right. 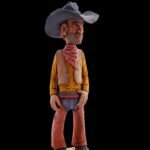 This year was the first year in a long time that the same carving was selected for both the People’s Choice and Carver’s Choice awards for this show. 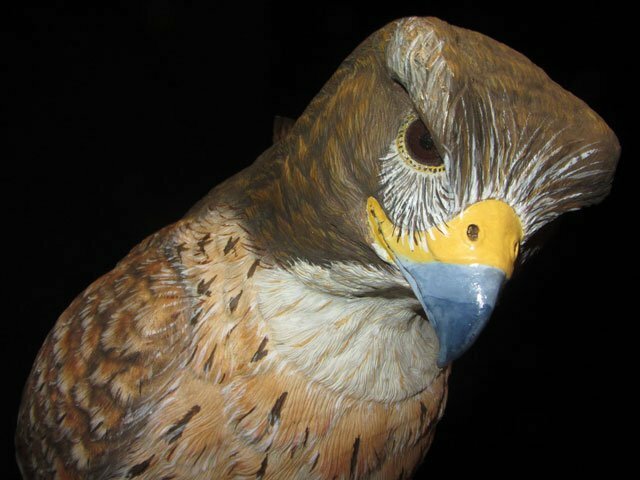 The incredibly detailed carving was a unanimous selection by both the public and the club carvers as the blue ribbon winner far outdistancing other contenders. 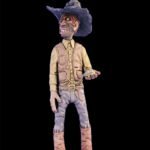 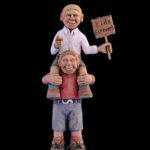 In the recent Southwest Woodcarvers Association People’s Choice show held at Tucson’s Foothills Mall Rob Arnberger’s entry titled “Feliz Navidad” won top honors in the Holiday Category and then was voted 3rd place for the People’s Choice Award. 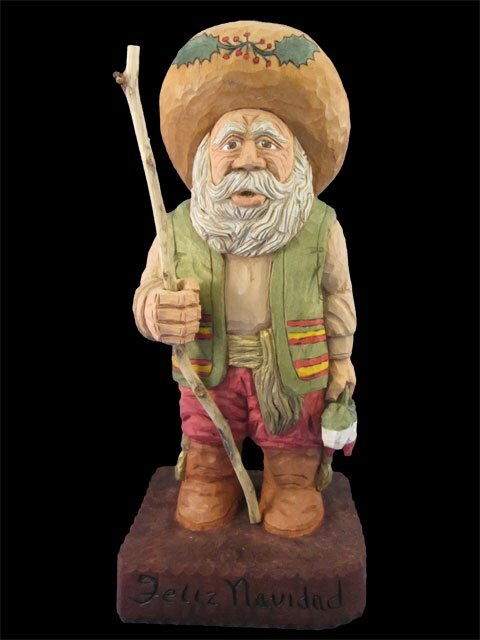 The carving shows a Mexican Santa carrying a small piñata and seemed to capture the essence of the holiday season from another culture. 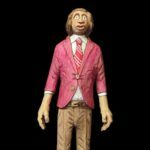 The award winning Mexican Santa has found its home in Elvira Arnberger’s Santa collection carved for her each Christmas by Rob.